지금은 주변이 경작지로 변한 봉업사(奉業寺)의 옛터에 위치하고 있는 탑으로, 1단의 기단(基壇) 위에 5층의 탑신(塔身)을 올린 모습이다. 기단은 하나로 짠 두툼한 널돌 위에 올려 완성하였는데, 이 때의 석재가 두툼한 탓인지 전체적으로 둔중한 느낌을 준다. 기단 위의 탑신은 1층 몸돌만 4장으로 이루어졌고 나머지는 한 돌로 구성하였다. 각 층의 네 모서리에는 폭이 좁은 기둥을 새겼다. 1층 몸돌 남쪽면 중앙에는 작은 감실(龕室:불상을 모시는 방)을 만들어 놓았으나 모양만 새기는 형식에 그치고 말았다. 지붕돌은 얇고 추녀는 거의 수평을 이루었으며 끝에서의 치켜올림도 미미하다. 머리장식은 모두 없어졌다. 탑의 전체적인 체감도 적당하지 못하고, 각 부의 조각도 형식에 그치고 있다. 신라의 양식을 계승하고 있어 석재의 조합 방식은 우수하나, 기단에 새긴 조각이 형식화 되는 점 등에서 약화되고 둔중해진 고려석탑 특유의 모습이 보이고 있다. 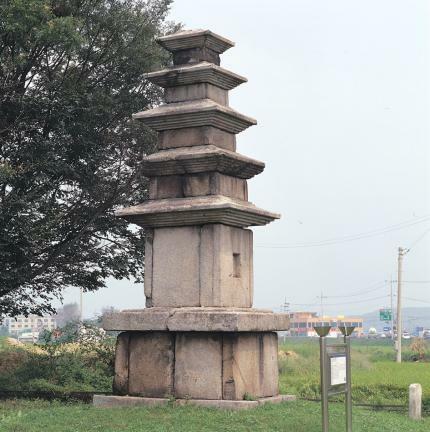 Located at the former site of Bongeopsa Temple, which is now little more than a plowed field, this pagoda consists of a five-story body and a single-layer stylobate. 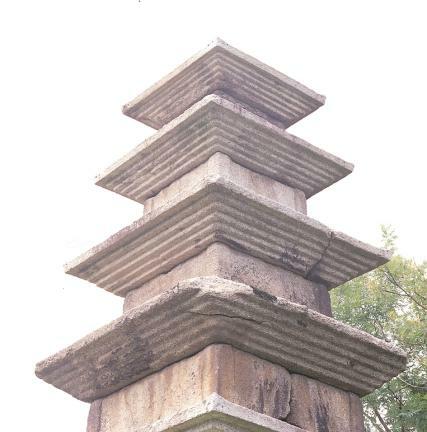 The stylobate was set on a single thick stone plate, the thickness of which gives the pagoda a heavy atmosphere. 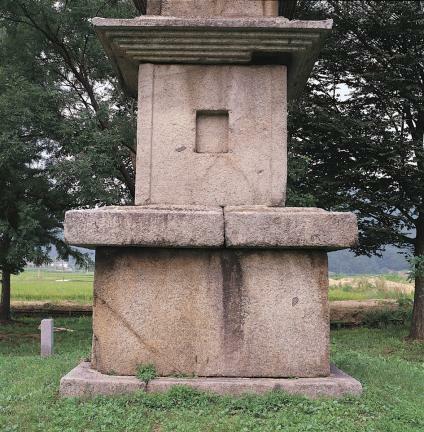 The core stone of the first story of the main body is composed of four pieces of stones while the other four stories are each made of a single stone. Each of the corners of the five stories is engraved with a narrow pillar design. The middle of the southern side of the core stone of the first story is carved with a small niche. The roof stone is thin, and the horizontal eaves turn slightly upward at the ends. None of the constituent parts of the finial have been found. 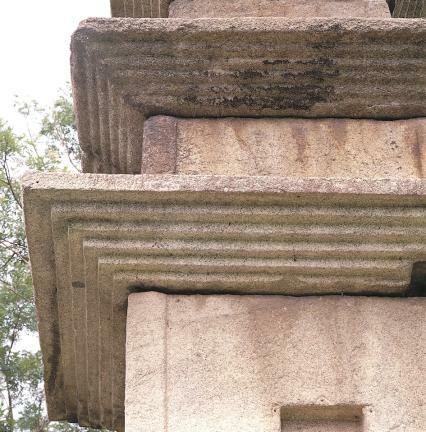 In general, the pagoda is poorly-proportioned while its carving style looks overly formal. 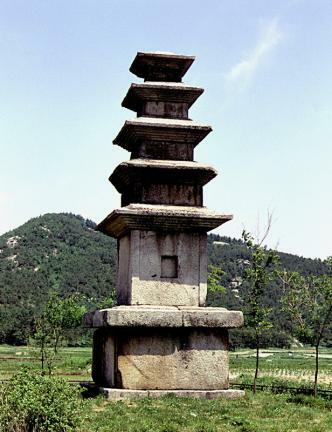 Although the pagoda exhibits the general construction style of Silla stone pagodas, i.e. 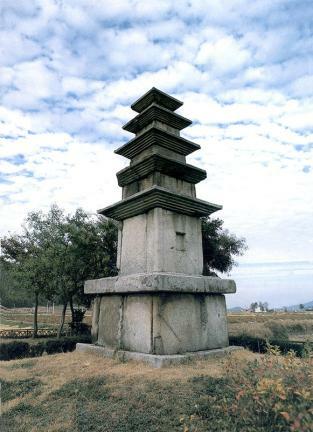 good composition of the stone materials, its weakened structure and ponderous shape - typical characteristics of pagodas at that time – suggest that it was erected during the Goryeo Dynasty.